The funky Toyota C-HR is getting a price cut with the addition of a new base LE trim for 2019. Order guides reveal the model will start just under $22,000, bringing it closer in line with some of its key competitors. However, a closer look reveals that prices are going up at the higher end to over $27,000 with a new range-topping Limited model. As a result, buyers will have a much wider range of flavors from which to choose. The new C-HR LE will start at $21,990 including a destination charge of $1,045. That's $1,505 less than the previous year's entry-level XLE style and $525 higher than a Honda HR-V LX with automatic. The LE makes a few sacrifices to arrive at that price, like coming with 17-inch steel wheels as opposed to the 18-inch alloys in the XLE. It also lacks a white or black roof option, as well as a new paint choice called Blue Flame. 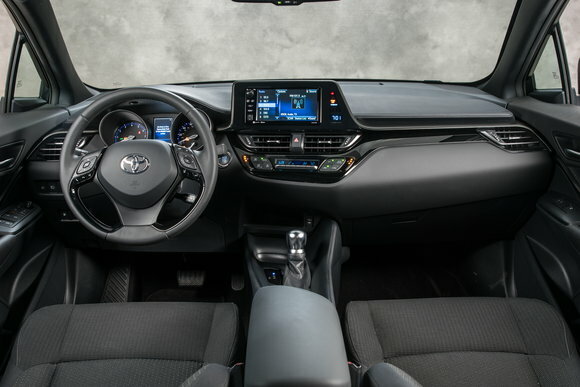 All C-HRs will come standard with Toyota Safety Sense P, which includes automatic emergency braking with pedestrian detection, lane departure warning, adaptive cruise control and auto high beams. However, the LE doesn't offer the option to add a blind spot monitor with rear cross-traffic alert. Given the C-HR's rather large rear blind spots, this could be a deal-breaker for some shoppers. To get that feature, you'll have to step up to an XLE or Limited, which both come with it standard. For 2019, every C-HR will finally support Apple CarPlay thanks to the latest version of Toyota's Entune 3.0 infotainment system. Sadly, there are no indications of when the brand will begin supporting Android Auto. While the C-HR is becoming more affordable at the low end, prices are going up at the higher end of the spectrum. The price tag of the XLE is going up by $530 and will now start at $24,025. The XLE gets you features like a smart key, 18-inch wheels, lighted vanity mirrors, auto-folding mirrors and puddle illumination. Things get ritzier in the Limited with an eye-watering MSRP of $27,045 and a choice of black or brown leather seats with driver's side power lumbar support, a better infotainment system, seat back pockets and available rain-sensing wipers. The Limited will also be the only trim available with Entune 3.0 Premium, which gets you features like Wi-Fi support and dynamic navigation, technology that provides updated map data as you drive. The Limited gets several distinctive styling elements like chrome window trim, piano black B-pillars and something Toyota is calling a red bumper garnish. We don't have photos of what that looks like, but we're curious. With the revised choice of trims, there will now be a $5,055 difference in price between the cheapest and most-expensive styles. The Limited increases the top-end price of the C-HR by $1,700 compared to last year's XLE Premium. 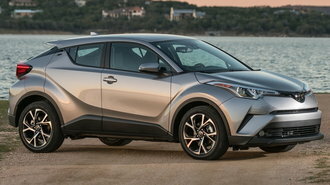 Since the introduction of the C-HR, some have argued that the model has struggled to justify its $23,495 base price given the level of discounts Toyota has offered in the past on the larger RAV4. 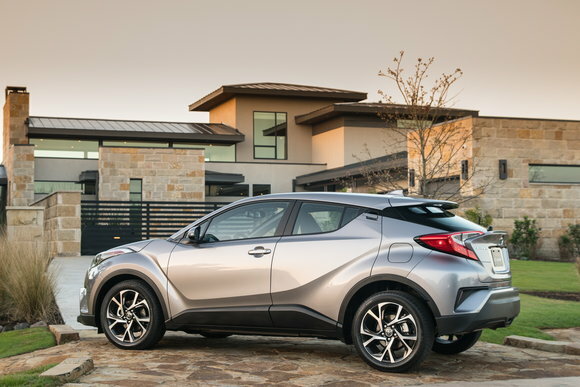 Last July, our analysis found that the RAV4 was actually up to $50/month cheaper to lease than the C-HR here in Southern California because of a substantial difference in manufacturer discounts. 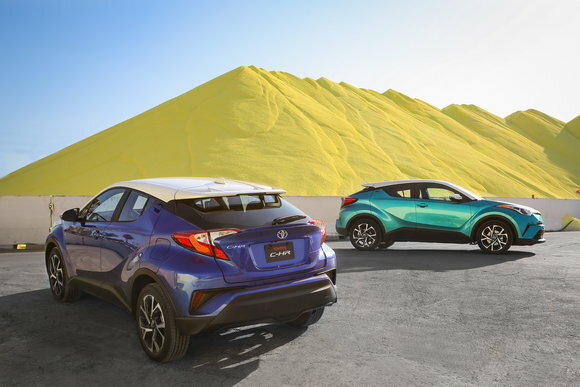 Since then, the brand has aggressively offered incentives on the C-HR worth up to $1,500 and more competitive lease promotions to help boost appeal. Although the vehicle's lower base price is bound to encourage cross-shopping with models like the Honda HR-V and Jeep Renegade, shoppers may find prices at the higher end to be a little hard to swallow. Having said that, bringing trim choices closer in line with other Toyotas makes sense given that the C-HR was originally intended to be a Scion model before the brand was discontinued. But will buyers really pay $27,000 to buy a C-HR? Given that the brand already offers a $37,000 Platinum version of the RAV4, there will likely be some takers among those looking for a fully-loaded model.